Set out to write a historical novel, and you can find yourself traveling down more than a few unsuspected highways and byways, researching tariffs and trade deals as well as dress lengths and hat styles, the grafting of camellias and the appearance of late nineteenth-century bicycles, the wharves and red light districts of the past. To paraphrase one of the authors in my latest interview for New Books in Historical Fiction, learning about cotton strands is not the most fascinating part of the job. But human nature has a way of triumphing over mediocrity—for good and for bad—and those cotton strands become the reason for a centennial exposition that excels in cost overruns, construction delays, and funds diverted to the organizers’ pockets instead of the project at hand. As that problem fades into the past with the end of book 1, a new one surfaces: in an attempt to improve revenues, the federal government doubles tariffs on the legal opium trade, leading to a vast increase in smuggling. And we’re off again, following another pair of destined-to-be lovers through the streets of Gilded Age New Orleans as they struggle to find each other past a series of misunderstandings. It’s all tremendous fun, background delivered with a light hand that never loses focus on the central pair but instead places them firmly in a specific historical context that in turn both determines their predicament and directs its solution. Which is, after all, what every historical novelist tries to do. So far, this podcast has focused on straight historical fiction rather than historical romance. Although love stories have a way of creeping into novels whatever their genre, books that focus on instantaneous passion don’t always give equal weight to the “historical” element in historical fiction. The series written by the mother/daughter team that publishes under the pen name Ursula LeCoeur, however, takes place in the richly detailed, lavishly imagined, deeply researched world of 1880s New Orleans. The Devious Debutante (Royal Street Publishing, 2015), third in the series, follows its hero and heroine through docks and bayous, ballrooms and opium dens, back streets, taverns, and Mardi Gras floats. Maureen Collins, the daughter of a wealthy cotton merchant, should be focused on her trousseau and on attracting a scion of an old New Orleans family. Instead she spends time in her greenhouse, searching for a way to graft red camellias onto white stems. When by accident she runs into Ben Merritt, an attorney from Philadelphia who has no obvious reason to lurk around her family estate dressed like a workman, his peace offering—an example of that rare red camellia—turns out to contain a tin of opium among its roots. More plants follow, and Maureen’s suspicions grow, especially after her attempts to investigate lead her to the scene of a murder that the local police appear to have little interest in investigating. Is she falling in love with an opium addict, or a person even more sinister? As Mardi Gras sweeps the town into revelry, Maureen strives to find out. Meanwhile, Ben races to collect evidence on the killer before he can carry out his dimly overheard threat against Maureen. 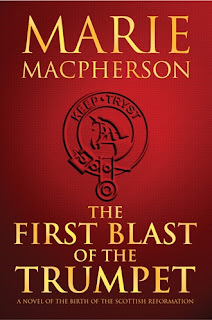 In July 2013, about six months after my first interview for New Books in Historical Fiction (NBHF), I had the fun of speaking with Marie Macpherson about her First Blast of the Trumpet, the opener to her trilogy about the Scottish religious reformer John Knox. You can hear the full interview on our site. Here is what I wrote about her novel at that time. There’s nothing quite like sitting down to write a novel about a man who, to quote Marie Macpherson, is blamed for “banning Christmas, football on Sundays,” and the like. What is one to do with such a subject, never mind making him interesting and sympathetic? Yet this is exactly what The First Blast of the Trumpet does for John Knox—best known as the dour misogynist who spearheaded the Scottish Reformation. 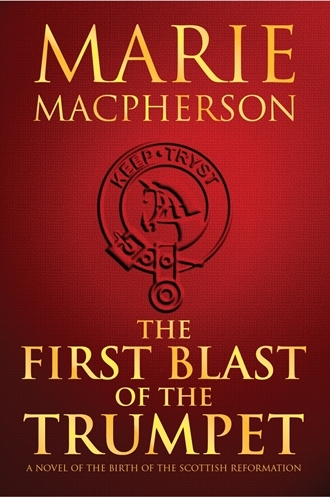 Macpherson approaches Knox sideways through the character of Elizabeth Hepburn, a reluctant nun installed at the uncanonically young age of 24 as prioress of St. Mary’s Abbey to ensure the continued dominance of the earls of Bothwell (whose family name was Hepburn) over the abbey and its resources. Elizabeth’s determination to craft a life that suits her never wavers, despite the conflicting claims of her family, the lure of court politics, and the opposition of a male clergy bent on keeping women in their place. This wonderfully researched novel mixes history and fiction to reveal Scotland during its last century of independence in all its complexity, depravity, and richness; and as Elizabeth’s career increasingly intertwines with the childhood and youth of John Knox, the need for reform in the Scottish Catholic Church becomes ever clearer. 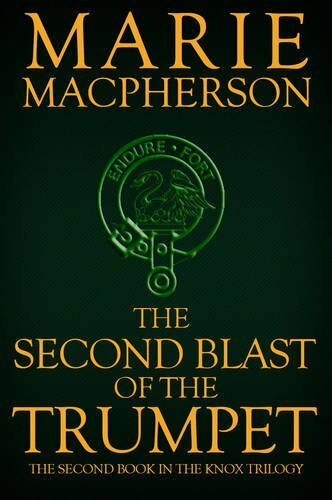 Now, as I celebrate my fourth anniversary as the host of NBHF, the saga of John Knox continues with The Second Blast of the Trumpet, released in hardcover in the United States yesterday (Kindle edition to come). So it’s my pleasure to welcome Marie back—this time to my blog—and to let her speak for herself about this next novel in the series. Take it away, Marie! 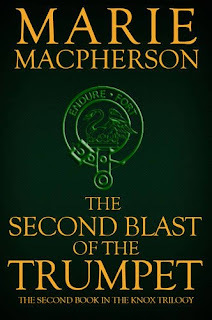 At the end of The First Blast of the Trumpet Knox is sentenced to toil in the galleys and that’s where I intended to leave him, but my publisher had other ideas. “What happens to this character Knox?” they asked. Could there be a sequel—or two? Like many Scots, I knew about Knox’s role in the Scottish Reformation from 1560 onwards but hardly anything about his wilderness years. What was he was up to during the ten years between 1549 and 1559? Quite a lot, as it turned out. While Knox was persona non grata in Scotland, the English Protestant King Edward VI welcomed him. Forced to flee to Geneva when Edward’s untimely death brought Mary Tudor to the throne, Knox wrote his diatribe, The First Blast of the Trumpet against the Monstrous Regiment of Women, aimed at Bloody Mary. This rant has forever condemned him as a rampant misogynist, but to be fair, he was only echoing what many men felt at the time: that it was monstrous or unnatural for a woman to wear the pants, never mind the crown. Was he such a misogynist? As an author, I feared to find out. If Knox was to be the hero, how could I write about such an offensive character? But behind every great man there is a woman or, in Knox’s case, several women. Not only did he marry twice—and to much younger brides—but he also had a flock of female followers who followed him around. He must have had some charisma. Yet while Knox was blessed with the perfect wife in Marjory, he was cursed with the mother-in-law from hell, Elizabeth Bowes, who was obsessed with him. Imagining what life was like in this ménage à trois was a writer’s dream. Another surprise was his intense relationship with the poet and translator Anna Locke, an intelligent, educated English woman to whom Knox poured out his heart in a long correspondence. According to Robert Louis Stevenson, she was the only woman Knox truly loved. It turned out to be quite a journey following Knox as he criss-crossed the continent several times, as well as traveling back and forth to Scotland. What stamina “God’s messenger” must have had to endure such tortuous journeys. Writing historical fiction about a famous personality is a tricky undertaking at the best of times: writing about such a controversial figure as John Knox brings its own challenges, but I hope in The Second Blast of the Trumpet I’ve succeeded in adding another dimension to the pantomime villain caricature and revealing the man behind the myth. Hailing from Musselburgh, East Lothian, Marie Macpherson left the Honest Toun to study Russian language and literature. She graduated from and earned her PhD at Strathclyde University and spent a year at Moscow State University researching the 19th-century Russian writer Mikhail Lermontov, said to be descended from the Scottish poet and seer Thomas the Rhymer. 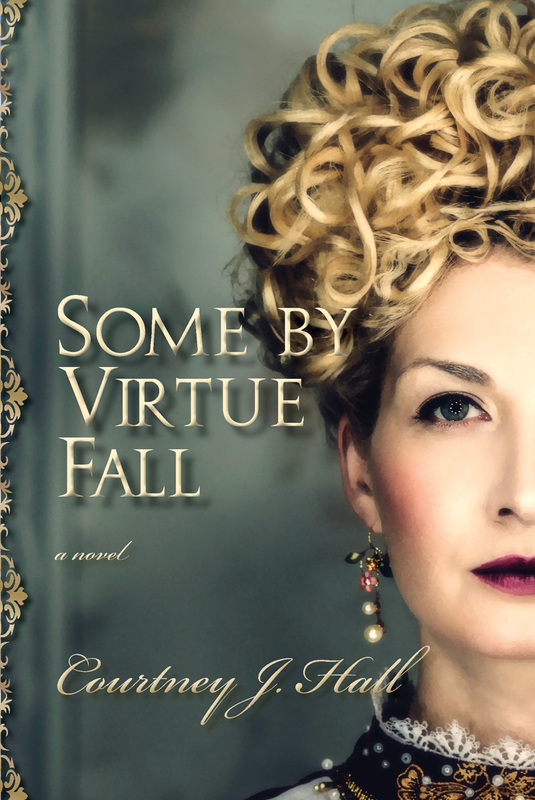 After a career teaching languages and literature, she can pursue her interest in creative writing and has found her niche in historical fiction. 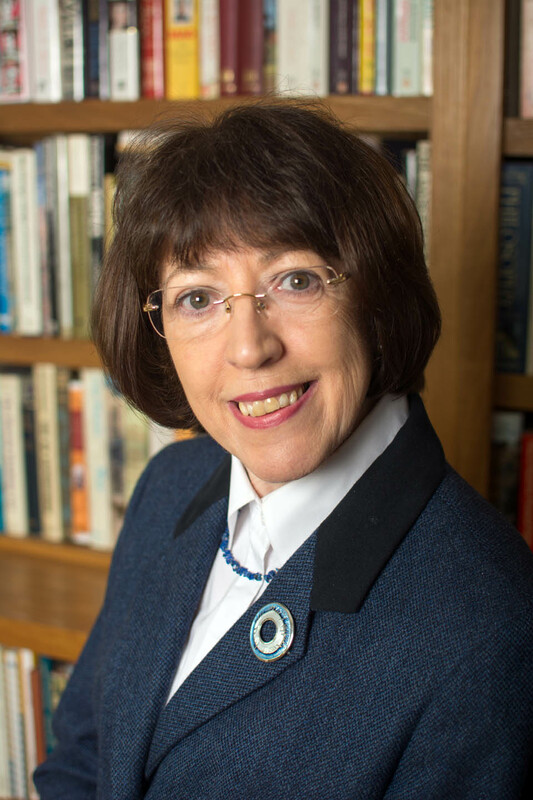 She won the Martha Hamilton Prize for Creative Writing at Edinburgh University in 1994 and in 2011 received the title “Writer of the Year,” awarded by Tyne and Esk Writers. 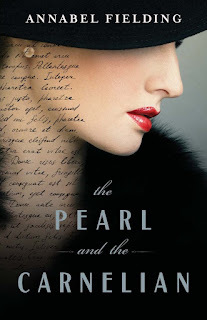 Just in time for Veterans Day, I have a Q&A with Annabel Fielding, author of The Pearl and the Carnelian, a novel about 1930s Britain from the perspective of two women who find each other in the midst of a society that will soon be seriously undermined by war. An interesting topic, an innovative perspective—this is the kind of story that appeals to me. But as sometimes happens, I had no time in my interview schedule for a one-on-one discussion with the author, so her publicist and I settled on adding her to the Bookshelf instead. First, though, a quick look at her book, released on September 21, 2016. Britain, 1934. Hester Blake, an ambitious girl from an industrial Northern town, finds a job as a lady’s maid in a small aristocratic household. Despite their impressive title and glorious past, the Fitzmartins are crumbling under the tribulations of the new century. In the cold isolation of these new surroundings, Hester ends up hopelessly besotted with her young mistress, Lady Lucy. Fragile and enthralling, Lucy can weave fascinating stories like a spider weaves her web. Armed with shrewd wits and an iron will to match, she is determined to carve out a new life for herself. They are drawn to each other as kindred spirits, eager to take advantage of the new opportunities the world has to offer. Moreover, soon Hester gets to accompany Lady Lucy on her London Season, and readily plunges herself into the heady mix of passion, art, and excitement of the glittering city. However, there are plenty of dark undercurrents swirling beneath the majestic imperial capital. The country is rife with discontent, and radical political movements are growing in influence day by day. There is a controversy, surrounding the new dictatorships of Europe, and struggles are breaking out in the press as well as in the streets. The hushed whispers of yet another war are still rare, but the battle for hearts and minds has already started, and Lucy’s talent can be employed for very sinister ends. And now, the questions and answers. How did you become involved with the themes presented in your book? I have always been interested in the unsung women in history, in the roles they got to play in all the great processes. The influential leaders, the quiet workers behind the scenes, the morally dubious schemers. All the good, the bad, and the ugly. Some parts of Lucy’s POW. In particular, inventing eloquent arguments for the political position I hate. Where did the inspiration for The Pearl and The Carnelian come from? Short period dramas that followed in the wake of Downton Abbey; not in the way you might think, though. You see, quite a lot of them are set in the interwar period, and quite a lot of them involve a certain type of card-carrying villain: a Blackshirt Supporter, or, alternatively, a Nazi Sympathizer. She—it tends to be a lady—is obviously evil and irredeemably despicable. She is a secondary character, or sometimes she only appears in one episode. Her motives are not explored or explained; but that’s natural, since she only exists to underline the virtues of the show's protagonists. She is usually modeled after one of the older Mitford sisters; with none of the complexity, though. And ... well, I wanted to dig a little deeper. I wanted to find out why. No evil simply springs up in the middle of a perfect world (in this case—a family values-suffused Good Old England). It grows from its very soil; it’s nourished by its very culture. And, the more biographies I’ve read, the more material I’ve uncovered, the clearer I understood it, and the more I wished to articulate it. So, here is a novel, partly narrated by the black sheep in a respectable, country house-dwelling family. A genuine black sheep, I mean. Not a vaguely rebellious, moderately spirited young lady. How did you decide to take on the challenge of writing a book? I cannot say it was a weighted decision; the idea simply burned too brightly for me to discard. Do you write more by planning or intuition, or some combination of the two? I am definitely a great proponent of careful planning. It makes the actual writing process much smoother, and, I might even say, helps to avoid the writer’s block. Who are your favorite authors/authors you find most inspirational? I would say, Ellen Kushner, for her engrossing plots and fabulous queer characters. Also, Sofia Samatar, for her unparalleled world building and mesmerizing writing. Do you model your writing off a particular author or book? I would say, that I write to give the shape and expression to all the worlds growing in my mind. Perhaps, growing isn’t necessarily an appropriate word; after all, the actual creation process involves careful construction and precise planning. However, the initial ideas seem to bloom in my thoughts, like red flowers; they demand my attention and nudge me to tend to them. Actually, I am! I am still in the research stage, and, of course, it is a little early to discuss anything particular. I can only say three things for sure: it is going to be a fantasy with a minimum amount of magic, if any at all; it is not going to be set in pseudo-medieval-kinda-Europe; it will definitely involve lesbian romantic subplots. Thanks to Annabel and to Smith Publicity for the questions and answers and for the free PDF of the book. 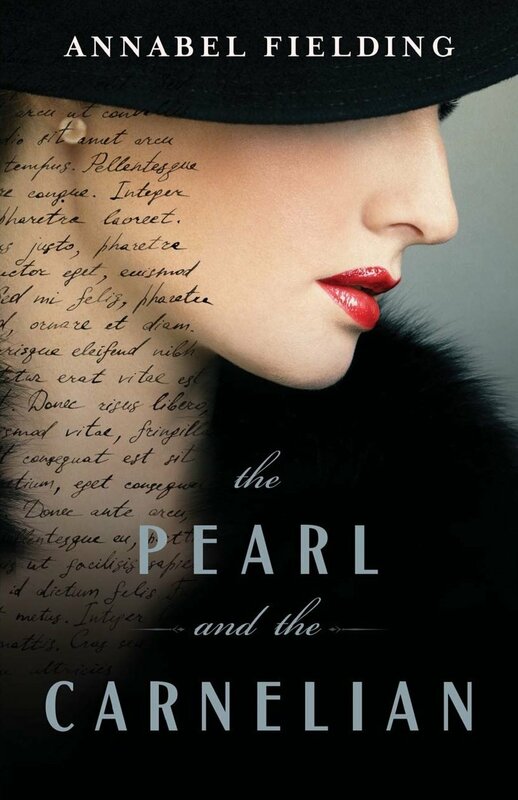 Interested readers can find The Pearl and the Carnelian at Amazon.com. If you have been following Five Directions Press on Facebook, Twitter, Instagram, or Pinterest (and if you have not, why haven’t you? ), you may have noticed that we have started regularly posting images based on lines from our books. 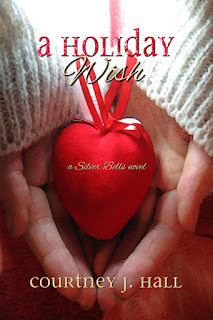 For the last week, those images have featured Courtney J. Hall’s A Holiday Wish (Silver Bells 1), which released into the world yesterday. You may also remember Courtney’s Some Rise by Sin, which came out in 2015. Wasn’t a sequel, Some by Virtue Fall, supposed to follow? Well, yes—and it will, for sure. Can’t waste that gorgeous cover, right? But the Muse doesn’t always show up for the job on cue, and some days she arrives with a mind of her own. 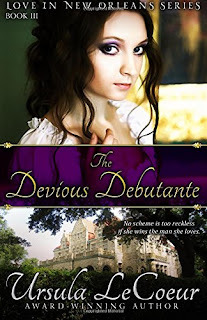 In this case, when Courtney asked for help with Cecily Haughton, what she got was Noelle Silver, who burst onto the scene ready-formed and chatting up a storm. So like any writer, Courtney said “thanks for the gift” and wrote it all down. Thus was born Silver Bells, a contemporary romance series focused on the winter holidays. I love smart, funny romances—especially ones set between Halloween and Christmas—and this one is a gem. I’d say that even if I didn’t write for the same publisher and belong to the same critique group. I devoured the first draft, and the story only got better from there. But you don’t have to take my word for it. Read the details below, check out the images on social media, and decide for yourself. You can also go to the Five Directions Press page and read or listen to an excerpt before making up your mind. I guarantee you won’t be disappointed. I only wish I could discuss the series on New Books in Historical Fiction, but that will have to wait for Some by Virtue Fall. Noelle Silver has been a wedding planner for six years, and in all that time, the only bride she’s failed to get down the aisle is herself. Abandoned by her fiancé and disillusioned with love, Noelle is ready to pack it in and leave town when Brooke St. John, orphaned heiress, offers her a staggering amount of money to organize Brooke’s Christmas Eve wedding to a much older man. Noelle is reluctant at first, but the payment Brooke offers is more than enough for Noelle to start a new life. It’s also an opportunity for Noelle to prove to herself—and her former fiancé—that despite her broken heart, she still has what it takes to pull off a wedding worthy of an heiress in the two months Brooke has given her. But the best man, Brooke’s older brother Everett, is dead-set on stopping the nuptials. Will he succeed, driving the final nail into the coffin of Noelle’s career as a wedding planner—and shattering what’s left of her expectations of love? You can order the book on Amazon.com (free if you have Kindle Unlimited) or through a local bookstore; to learn more about the author, visit http://www.courtneyjhall.com.